New opportunities for DNA-based biodiversity surveillance in the Canadian Arctic have opened as a result of a $1.8 million contribution agreement between Polar Knowledge Canada (POLAR) and the Centre for Biodiversity Genomics (CBG) at the University of Guelph under POLAR’s Northern Science and Technology Program. The two-year (2019-2020) project called Arctic BIOSCAN, or ARCBIO, focusses on building the DNA barcode library for the fauna and flora, as a precursor to establishing a DNA-based biodiversity monitoring platform in the Canadian Arctic. This funding has allowed the project team to analyze Arctic materials held by Canada’s largest collections. 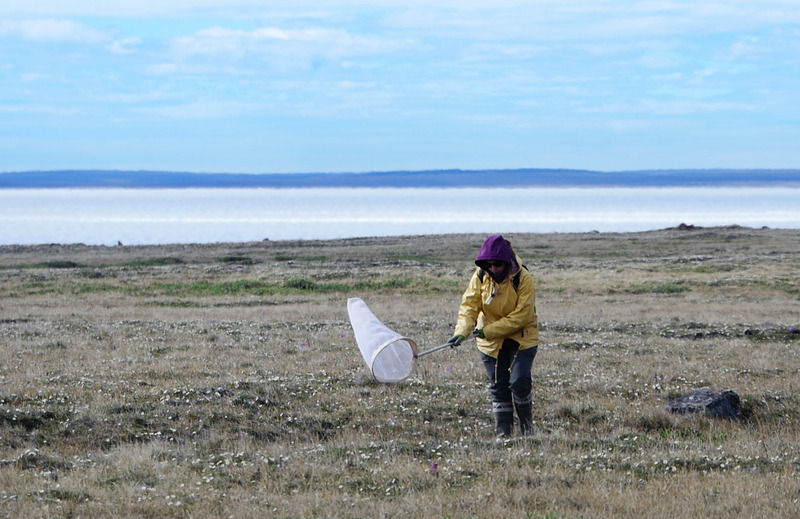 In addition to this, pilot surveys of terrestrial and aquatic biodiversity will be conducted in two sites within Nunavut’s Kitikmeot Region – Cambridge Bay and Kugluktuk. These surveys will gather baseline information on the current state of local ecosystems, needed for future monitoring of shifts in biodiversity, associated with climate change and economic development in the region, enabling the use of biological systems as an integrative register for the state of the environment. While focussed on the goal of assembling an openly accessible baseline scientific dataset, ARCBIO aims to help engage local communities, so that project activities reflect local needs and address key environmental and societal issues, such as wildlife health. The project team works closely with Hunter’s and Trapper’s Organizations, cultural centers and conservation authorities in the region to ensure that a future system for automated real-time monitoring of the diversity of organisms in the Canadian Arctic bridges biodiversity science, DNA technology and local knowledge. Please check out the project website https://arcticbioscan.ca/ for more details. The International Barcode of Life (iBOL) Consortium is a research alliance of 31 nations with a mission to develop and apply a globally accessible, DNA-based system for the discovery and identification of all multi-cellular life. Our vision is to illuminate biodiversity for the benefit of all life.